Reusable food bag in denim is an alternative to single use plastic, clip seal and paper bags. Perfect for storing cheese, herbs, muffins, cakes, vegetables and more. Also use to take to the grocery store or markets when buying produce and dry goods. Lightweight, strong & washable. A reusable alternative to single use plastic, clip seal and paper bags. With a zipper closure the 4MyEarth food bag is perfect for buying and storing cheese, herbs, muffins, cakes, vegetables, dry goods, and more. 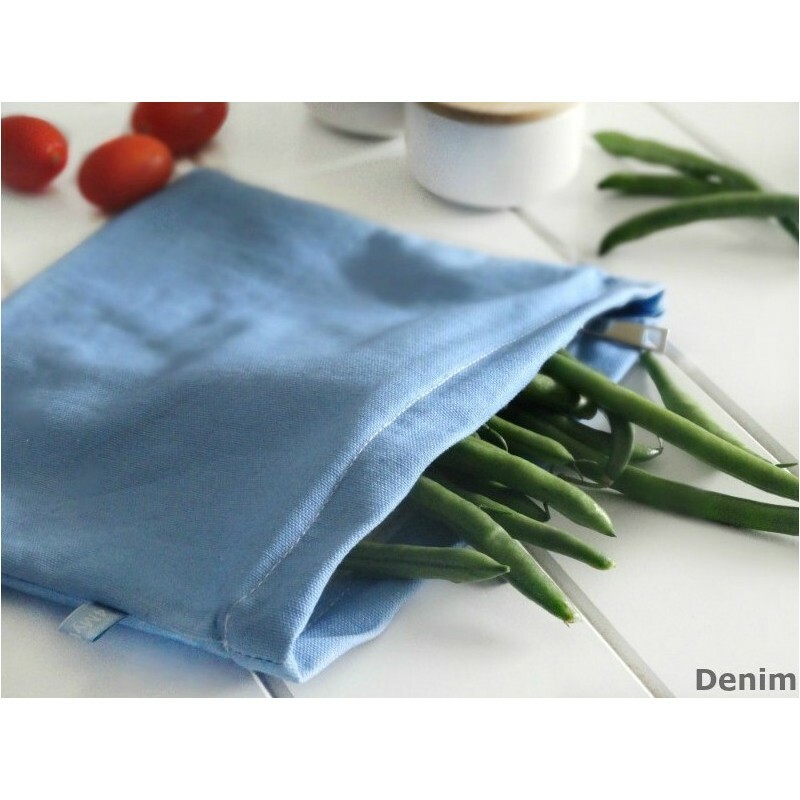 It is completely washable and made from food grade cotton/canvas with a biodegradable interior coating.